Real Scientific Literacy, The Ness, Neurologicablog, January 12, 2016. Real Scientific Literacy, Part II, The Ness, Neurologicablog, January 14, 2016. Understand that humans are flawed and biased. Is that enough? Well, yes. Maybe it is. Reinforcing our own understanding as teachers, especially on parts of the course that lie outside our own expertise, is a continuing responsibility and pleasure for us as teachers. 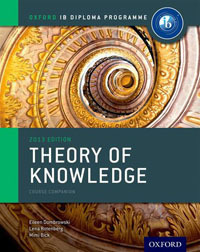 One of the joys of teaching TOK is being stimulated, again and again, to read and think. But I wouldn’t hand this summary to students to read in class. I wouldn’t base a class on consuming good materials, in which somebody smart has already done all the thinking! I’d rather give students flawed materials to critique themselves, or, better yet, activities to generate their own ideas and expression. So this is a resource for us – for teachers. Thank you, Dr. Steven Novella!